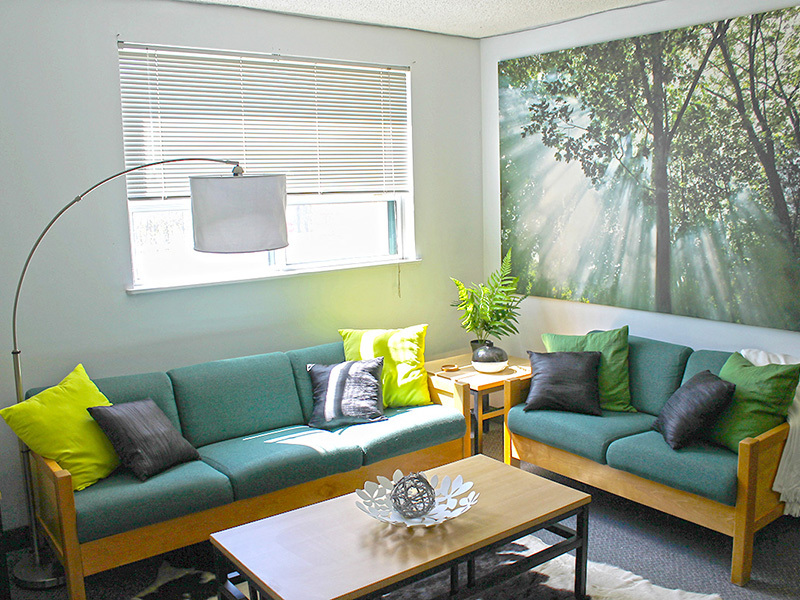 Severn Court Student Residence offers premium off-campus student housing to Fleming College students. 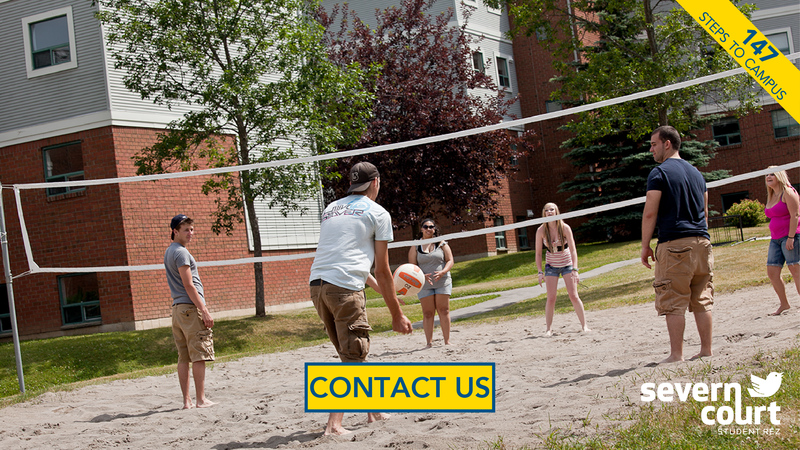 Our community aims to provide a safe and comfortable environment for you, where you can focus on your studies, make new friends, and create great memories during your college years. When looking for student apartments for rent, location is key. Severn Court is conveniently located across from Fleming College, making it quick and easy to get to class. Whether you wish to travel downtown or you wish to shop or dine in your free time, our college residence is also in close proximity to public transportation. Severn Court is the place you’re going to love to call home! Our off-campus Fleming College residence simplifies your move, with fully-furnished suites that are equipped and ready to welcome you. One of the things that sets the apartments for rent at Severn Court apart is that our suites were designed with students in mind. Each suite boasts private bedrooms with shared living rooms and kitchens, providing the perfect combination of privacy, convenience and fun. Enjoy high-speed Internet, storage for sports equipment, and flexible lease options. Best of all, the rates for our student housing are all-inclusive. 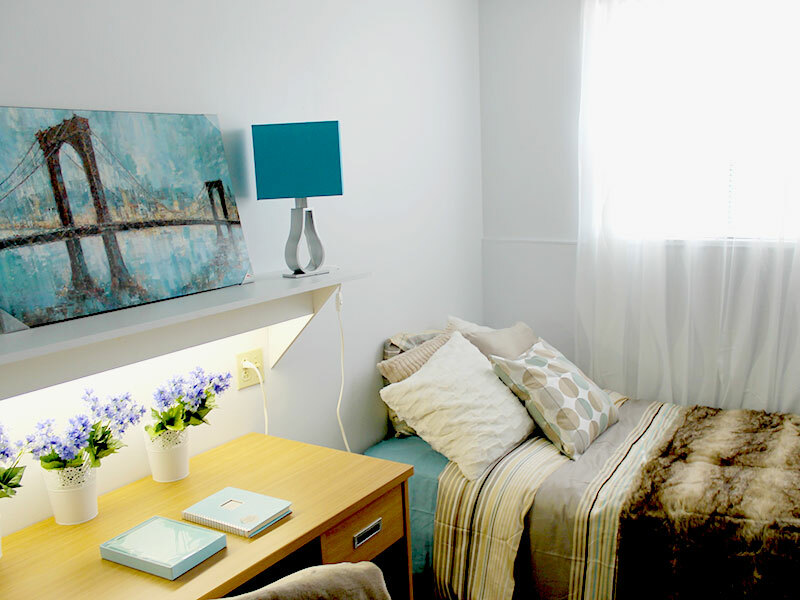 Our college residence provides a variety of services designed to maximize the comfort and safety of the people who live here. We have a roommate matching system in place so that residents are paired with other students who have similar personalities and lifestyle preferences. While residents can choose traditional housing units, where they will be sharing their space with roommates who are the same gender, gender neutral suites are also available upon request. 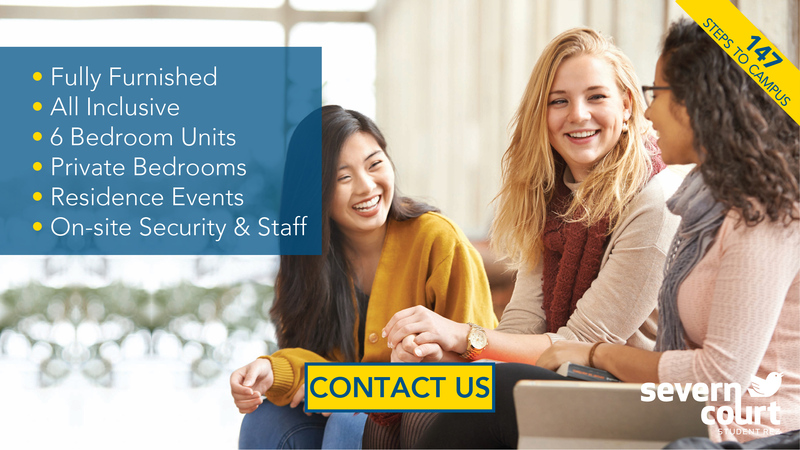 With everything from bi-weekly housekeeping services to on-site security and a team of people who are ready and able to assist you whenever you need support, our student housing facility was designed to ensure that everyone has a positive experience at Severn Court Student Residence. Looking for the best in premium student housing? Peterborough students end their search at Severn Court. There’s simply no other college residence quite like this! Contact us at 705-740-0909 or severn@studentrez.com for more information. 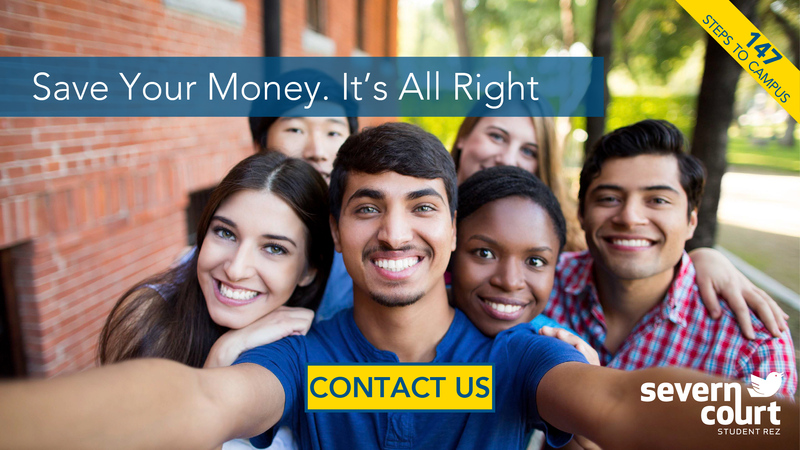 Save Your Money with Severn Court Student Residence! It's All Here. Severn Court Student Residence offers apartments to students of Sir Sandford Fleming College, Seneca College Aviation & Trent University. 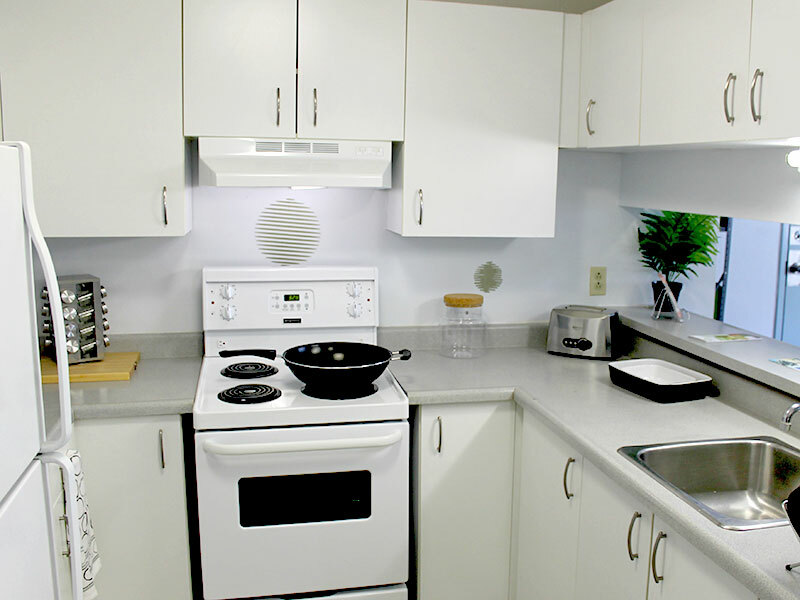 We have affordable and flexible lease options available for 6 bedroom rentals (1 person per bedroom). Explore our site for more information! We hope to see you soon!